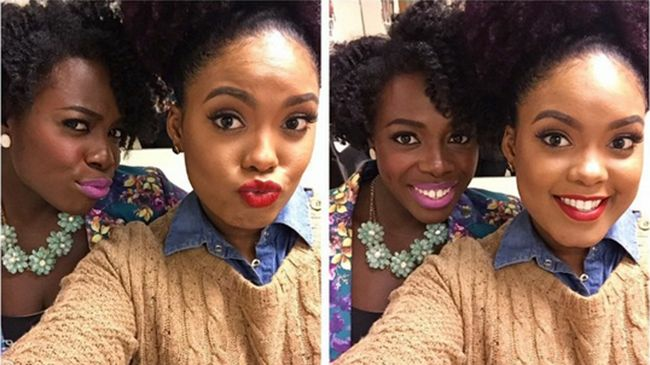 Coifing has always embodied and evoked a sense of camaraderie in the natural hair community. Whether it be gossiping at the shampoo bowl, twisting your friend’s hair in the dorm, or getting intricate pigtails while sitting in your mother’s lap, there has always been an inexplicable bond between women who groom one another. Our beloved curl crush Lupita Nyong’o shared her love of braiding her friends' hair with Vogue in June 2014. Mirroring that sentiment, Breanna aka Mini Marley started a curlfriend series where she styles her friends’ curls and coils using different products and techniques. The way she clearly articulates her process makes it easy to understand, follow, and leaves us anticipating for more. This is what we've loved and learned from her series so far. It still stands that the keys to a perfect wash and go are moisture, products, and application. In the video below with her friend Rode, she applies a Miss Jessie’s Leave-in Condish, SheaMoisture Coconut & Hibiscus Curl and Style Milk, and Miss Jessie’s Jelly Soft Curls to soaking wet hair in small sections. Smooth, edgy looks are all about setting. To make your hair lie flat, it is best to blow dry the hair and use setting products like EcoStyler Olive Oil Gel to ensure that flyaways are secure and that you can braid without your curls and coils retracting on themselves and cause tangles. When using rollers to set the hair, opt for a styling foam or mousse like Motions Foam Wrap Lotion, as it is formulated to provide light hold without causing the stiff, crunchy, ramen noodle-like effect. In order to reduce frizz, wait until the hair is completely dry before removing the rollers. What would you like to see her do next?